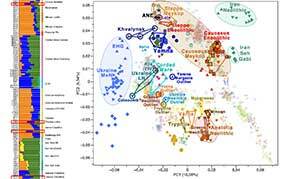 Open Access article A mosaic genetic structure of the human population living in the South Baltic region during the Iron Age, by Stolarek et al., at Scientific Reports 8:2455 (2018). 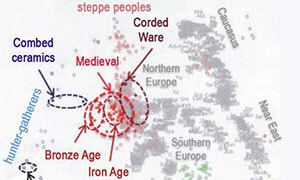 Chronology spans almost all the Roman Iron Age, since ca. 20 AD to ca. 450 AD. 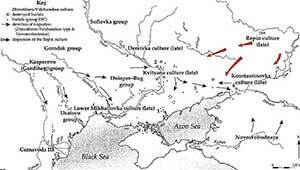 The Wielbark culture is associated with the Goths and Gepids, who migrated from Scandinavia towards the Black Sea, and their successors, who, after several centuries, returned to the lands formerly occupied by their ancestors. Typical features of the culture include inhumation graves rich in goods of numerous ornaments frequently of noble metals, while no implements and weapons have been observed and iron objects very rarely. Less frequent cremations. 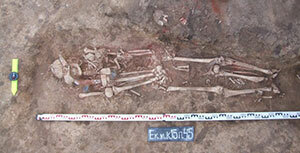 Barrows recorded within cemeteries reflect emergence of elites. The Wielbark communities built stone constructions, including pebbled floors and circles. This culture is mainly known from cemeteries, as settlements, not fortified, are less recognized. Location of Kowalewko and a scheme of the Kowalewko cemetery site 12, based on the Fig. 3 from the monograph by Tomasz Skorupka, Kowalewko 12. Biritual cemetery of a population of the Wielbark Culture (mid 1st to beginning of 3rd century AD), published in: Marek Chlodnicki [ed. ], Archaeological rescue investigations along the gas transit pipeline, vol. II – Wielkopolska, part 3, Poznan 2001, generated using Corel Draw ver. 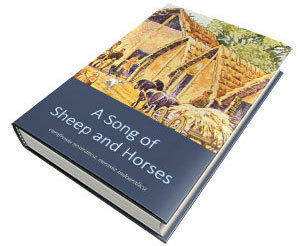 12.0, with the author permission. Sampled graves are marked with a red color. 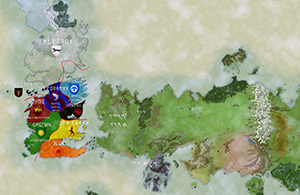 Europe and Poland maps were downloaded from Wikimedia Commons (https://commons.wikimedia.org), under the free licence, and modified with Corel Draw ver. 12.0. Analysis of genetic distances (see Fig. 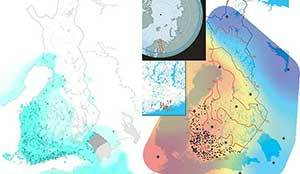 2b) showed that both Jutland Iron Age (JIA) and Kowalewko (Kow-OVIA), are the closest to the Central Europe Metapopulation (CEM). However, it should be mentioned that many of the resulting genetic proximities did not reach statistical significance at the alpha level 0.05 (mainly due to the multiple comparisons), thus they should be interpreted with caution. Higher prevalence of the mtDNA haplogroup H in Kowalewko and Jutland Iron Age(its high level is also characteristic for the Bell Beaker Culture) than in the preceding Corded Ware Culture (CWC) and Unetic Culture (UC) supports the hypothesis assuming significant demographic changes in Central Europe after the LN/EBA period. 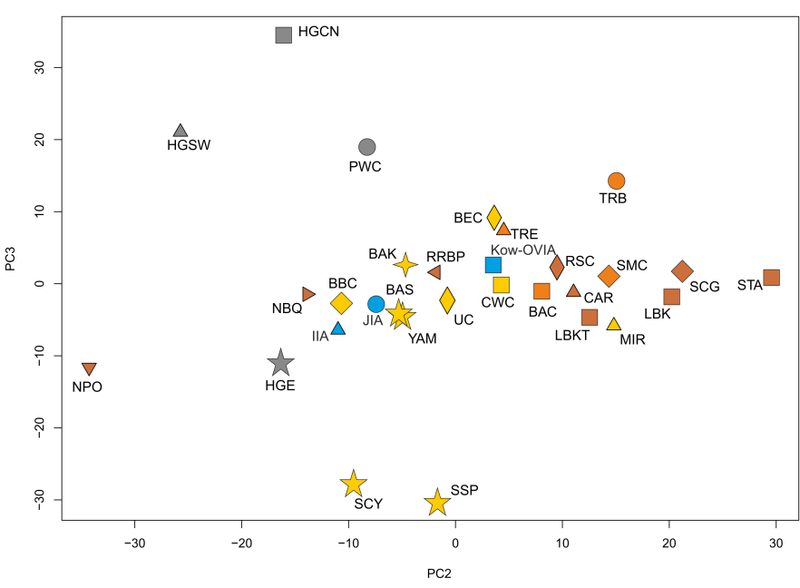 This hypothesis is additionally strengthened by the results of AMOVA analysis indicating that there is some inconsistency between genetic distances and the chronology of the appearance of the studied populations in Central Europe, i.e., the older populations (BBC, CWC) contributed more to the genetic structure of CEM than the younger ones (UC). Changes in the occurrence of mtDNA haplogroups U5a/U5b in Central Europe are also worth noting. At LN and EBA, the prevailing haplogroup was U5a for BBC/CWC/UC. Next, there was a dominance of U5b for the Kow-OVIA/JIA during IA and now U5a is again more popular (CEM). The first alteration in the U5a/U5b prevalence between the LN/EBA and the IA supports the hypothesis of demographic changes right after the LN, proposed by Brandt et al (2013). The second conversion indicated by our results suggests another crucial demographic event that should occur between the IA and present. 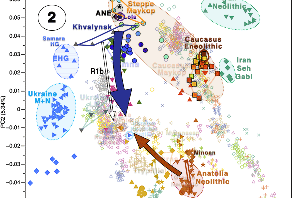 On the basis of the above observations, one may assume that in the IA, specific genetic substructures were formed in Central Europe. Because the demographic history of fossil populations often has a local character33,34, it is worth considering the range of the observed changes. 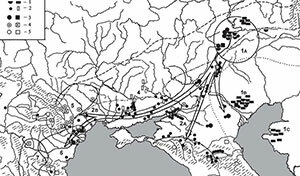 These considerations should also take into account the hypothesis on the migrations that most likely occurred between the 3rd and 6th century AD. In this context, it seems necessary to compare Kow-OVIA and JIA with other populations from the IA, in particular those located east of Vistula, and with the populations that inhabited this region during the Middle Ages. Finally, we found that the genetic structures of female and male subpopulations of Kow-OVIA were significantly different. This fact cannot be explicitly determined based on the results of individual analyses; however, it is quite evident if one considers the whole set of data presented here including the Fisher test on haplogroup frequencies. The analyses of both mtDNA haplogroups and genetic distances indicated that women from Kowalewko were related closer to the EN/MN populations, and the men were closer to the CWC and UC. This observation may explain why the genetic relationships of Kow-OVIA with other ancient European populations were more complex and more difficult to define as it was in the case of JIA. In analyzing Kow-OVIA, we observed multiple overlapping effects of two subpopulations with different genetic affinities. One would speculate that the genetic profile of Kow-OVIA-F resulted from exogamy that was described for the CWC population. This is, however, not the case. We found that the genetic differences between women and men were maintained for the entire observation period, i.e., for 200 years (approximately 8 generations). Such a composition of the genetic structure of Kow-OVIA could exist only if at least one subgroup (Kow-OVIA-F or -M) was periodically exchanged. It would further mean that Kowalewko played some specific roles in that region. According to the recent archaeological studies, the colonization pattern in IA Greater Poland could be linked with the existence of a centralized organization system32. Kowalewko could have been one of the important elements of this system. For example, it could have functioned as a garrison for the population closely associated with the JIA, such that warriors stayed in the garrison for only a few years and were then replaced by others. Other scenarios are also possible; however, verification of any hypothesis requires more detailed studies. 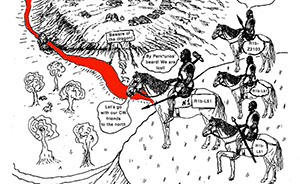 All in all, we know that Wielbark probably represented the initial migration period of East Germanic tribes, traditionally believed to be from Northern Scandinavia, into territory later inhabited by Slavic tribes (and potentially earlier by a Balto-Slavic community). Other than that, the results show some potential for a stable genomic situation in the Germanic homeland in terms of mtDNA, common after the Bell Beaker expansion, which probably brought Pre-Germanic to Scandinavia. 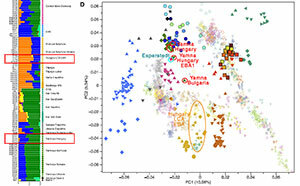 Nevertheless, only a comprehensive study of all Germanic regions from that period (whole genomic and Y-DNA) might shed light onto the real origin of East Germanic peoples, and thus their contended dialectal position, since we already know that certain modern Slavic and Germanic populations cluster closely to some Bronze Age communities of the same region, so differences during the Iron Age may be already quite subtle.